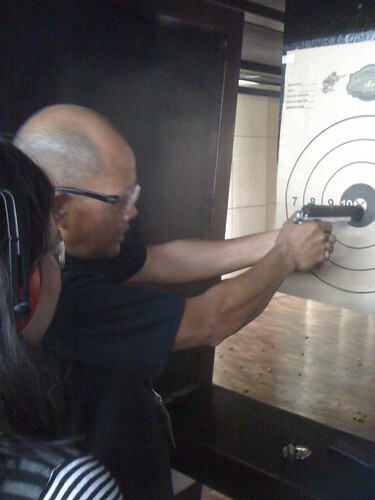 A Different Kind of "Shoot"
I never imagined myself firing a gun before. Just the thought of it scares me. 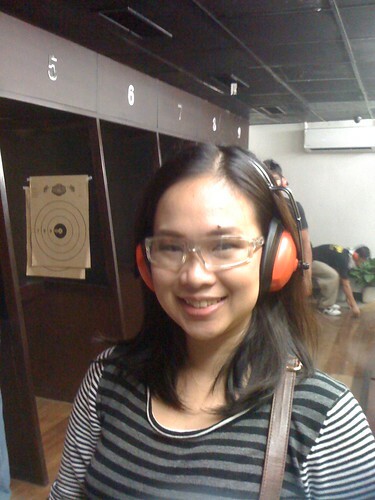 But last Saturday, our family attended an inauguration of a relative's new events place and firing range located at Cubao, Q.C. A new place needs a stress test so everyone was given a "fire-all-you-can" pass. 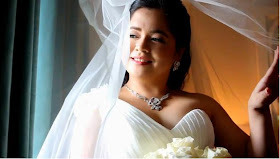 The hubby and cousins forced me to try-out and I don't know why I got easily convinced. All out smile to hide the nerves! 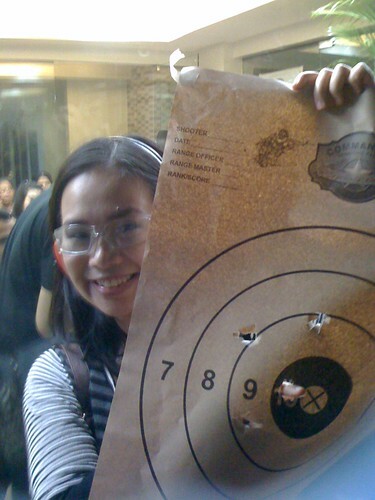 A certified instructor was there to guide the shooters *naks* especially the first timers. It took me a few minutes before I was able to fire my very first and it made me shout "AYYY" after hitting the trigger. The force made my hand wiggle a bit. 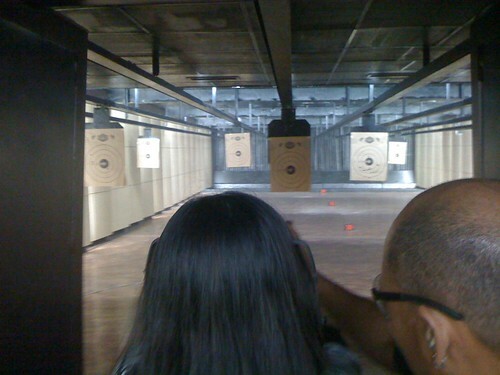 The first gave me a little confidence and excitement for the next shots. Look! I hit the middle twice haha. Not bad for the first time eh? 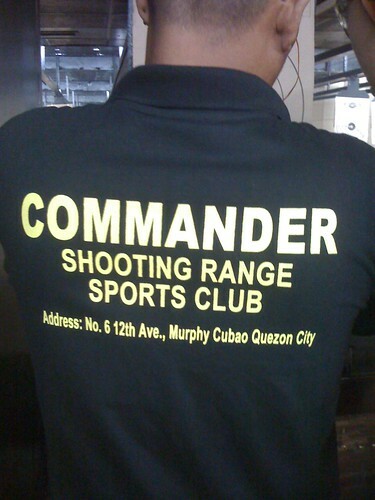 If you're looking for a firing range in Quezon City, check out Commander Shooting Range Sports Club. The address is in the photo above. They also have an events place which can accommodate up to 200 persons. The place is really really nice! That's one cool chicca firing the gun! You look so pretty! herroyalbleakness..yeah I think it's only beginner's luck haha.